Va-Va-Voom! 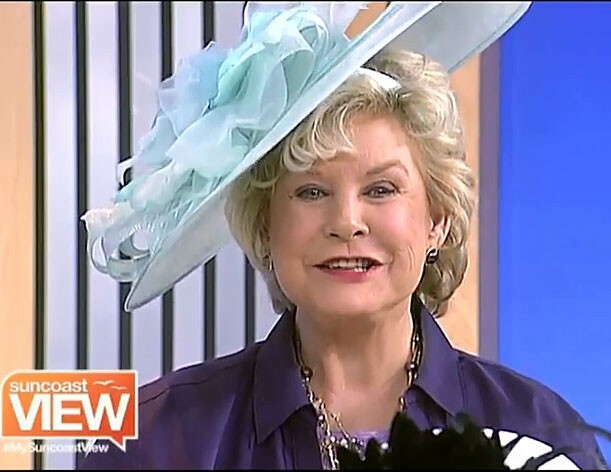 This hat brings memories of vintage Dior! 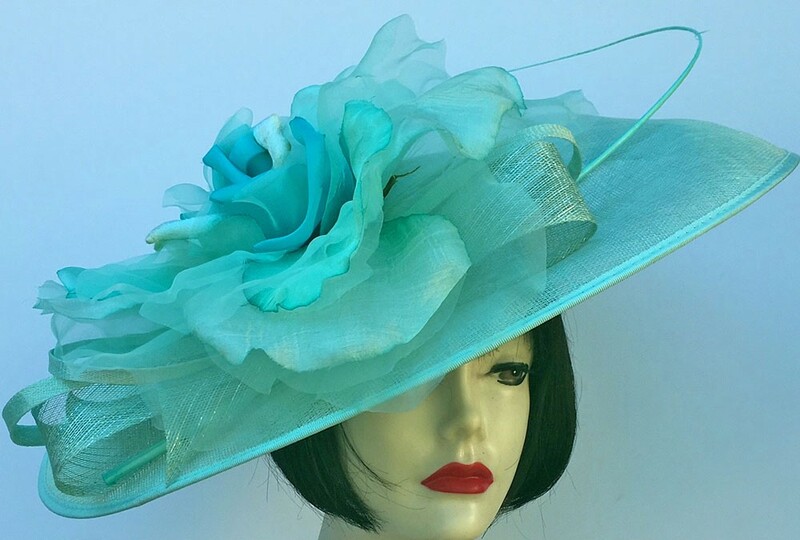 A dramatic pastel aqua green profile hat (16-18" oval), flat crown. The surprise is it fits on your head with a headband so fits all sizes. 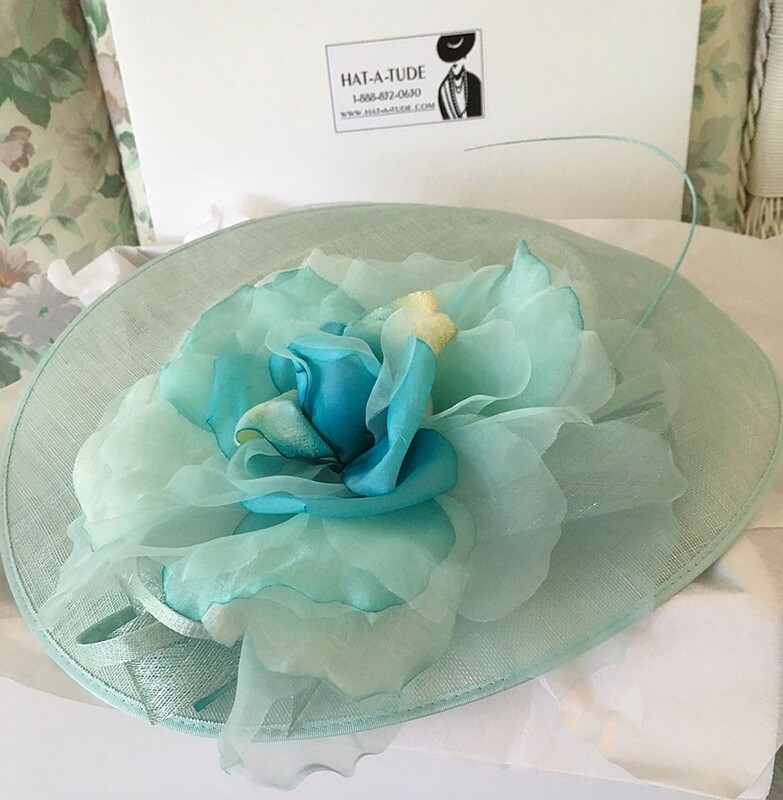 Trimmed with a handmade aqua 12" Silk Rose (center is more turquoise...didn't photograph well). 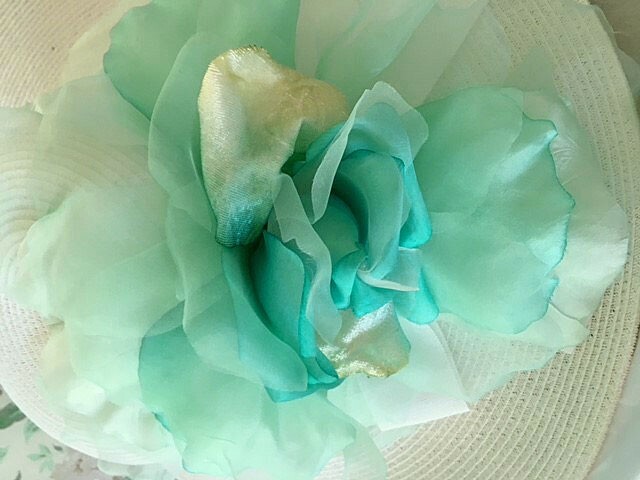 You will turn heads with this hat...lots of flirt! 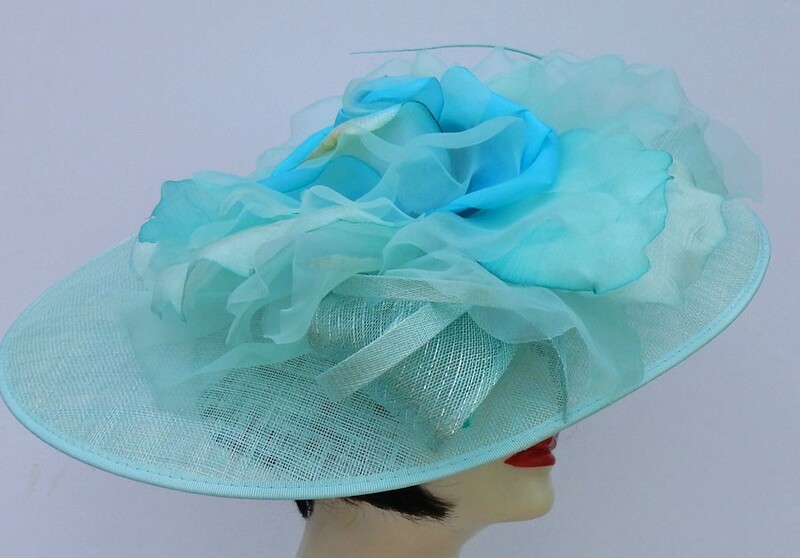 You will be in all the pictures at the Kentucky Derby, Kentucky Oaks, horse races, wedding, church or Easter! ****FREE SHIPPING!